plumber services, repair, and sewer drain cleaning. Have a plumbing request for Plumbing and Drains Solutions? Fill out our form, or call (619) 345-5550 to schedule a service request today! Need plumbing services in Spring Valley? 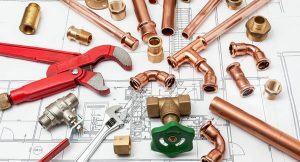 We understand that ‘do-it-yourself’ projects are all the rage at the moment, but a home’s plumbing is akin to the body’s circulatory system, and wouldn’t you want the person treating your circulatory system to be a real doctor? Don’t risk damage and personal injury by trying to take care of your plumbing problems yourself. The Plumbing and Drains Solutions team is equipped to handle all your residential and commercial plumbing needs, from unclogging your drains and patching those slab leaks to clearing your backed-up sewer line and repairing your water heater. Available around-the-clock 365 days a year, our prompt and reliable team is devoted to putting your mind at ease by keeping your home independent of plumbing problems. Plumbing and Drains Solutions will send a qualified plumbing expert to evaluate and fix even the toughest of plumbing problems. The technician who arrives at your home will not attempt to sell you something that you don’t need. They will give you an accurate evaluation of the situation and tell you in plain language just what is wrong and how much you can expect to have to pay to get it fixed. From sump pump failure to sewer back flow; from clogged drains to dripping faucets, no job is too small or too complex for the Plumbing and Drains Solutions professionals. Each of our certified technicians is hand selected based on their experience and expertise in the field. But it’s not just their skills that set our technicians apart, it’s their knowledge and knowhow; it’s their adherence to the high ethical standards that our company holds as the center point of our goal for providing the very best in plumbing services for all of our valued customers. Serving the Spring Valley area, Plumbing and Drains Solutions provides the very best quality service at competitive prices, and once you’ve experienced our service you will be spoiled for anything else. We take pride in being able to solve any problem you have, and are eager to add your success story to our company’s ever growing list of satisfied customers. So no matter if you have running water issues or low water pressure; slab leaks or dripping faucets or broken garbage disposals or an issue with your tankless water heater, Plumbing and Drains Solutions has what you need to solve your problem and getting things back on track. Plumbing and Drains Solutions was built on a foundation of reliability, trustworthiness, integrity, independence, and stellar customer service. We take pride in being a family owned and operated company, having provided five-star level plumbing services to the Spring Valley area since 1978. Rest assured that we’ll get rid of your plumbing issues when you contract our services. Call us today for a plumbing service estimate from Spring Valley’s best plumbers. At Plumbing and Drains Solutions, we keep your best interests at the top of mind. We’re the honest and reliable plumbers to call whether you need a repair, replacement, maintenance or a new installation. Trust that our plumbers will be there on the double when you have plumbing troubles! See what we’re all about by watching this video. Plumbing and Drains Solutions is the best, top rated drain cleaning company in Spring Valley, including North, South, West, Coastal and East County. We offer deals and specials, but most importantly we have reasonable rates and prices that reflect our professional plumbing contractor services. Are you looking for an affordable, licensed, bonded and insured plumber “near me” or “in my area” to do sewer drain cleaning or fix your plumbing issues in your apartment, high rise or upper level condo / condominium, residential home / house, or vacation rental? If so, we are emergency plumbers ready to clear those drains or stop that water leak. 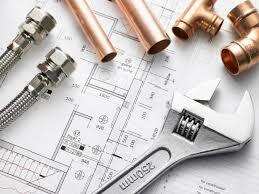 We also do plumber services for commercial properties, H.O.A. Home Owner Associations and work with real estate property managers. We are not cheap plumbing contractors but rather good plumbers with even better rates and fast response times. Our service is highly rated and can do any type of repair on the following: general plumbing, drain cleaning, water, sewer, gas lines, tank and tankless water heater replacement, slab leaks, sewer video inspections, sewer repair, water pressure regulators, back flow devices, shower valves, faucets, toilet replacement and hydro-jetting. Our plumbers are highly trained technicians. We carry all necessary equipment and supplies to do the job right the first time. Are you looking for a 24 Hour emergency plumbing company? In this type of emergency, you might have water damage and need someone fast. We can help shut off any leaky pipes or water lines. We are the best, top rated water damage restoration service company in Spring Valley, including North, South, West, Coastal and East County. We don’t offer deals or specials since our pricing is based on the insurance adjuster damage assessment. Most importantly we have reasonable rates for cash paying customers and our prices that reflect our professional damage restoration contractor services.